HomeNotificationMTS exam paper leaked Paper I(evening) 30/04/17, Will conduct again. MTS exam paper leaked Paper I(evening) 30/04/17, Will conduct again. 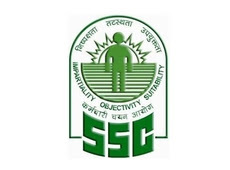 A paper for the vacancy of junior staff in central government departments was leaked today prompting the Staff Selection Commission (SSC) to order re-examination of the test for select candidates only. Due to a very large number of applications, the SSC is conducting tests daily in two shifts,i.e. morning and afternoon,to select the Multi Tasking Staff (MTS). The SSC has taken a decision to cancel the Paper-I (afternoon shift) of the MTS (Non-Technical) Examination, 2016 held on April 30, 2017, because the said paper was found to be compromised, a release issued by the Personnel Ministry said. The re-examination for only those candidates who appeared in this shift will be held in due course and they would be suitably informed accordingly, it said.